How exciting is this! 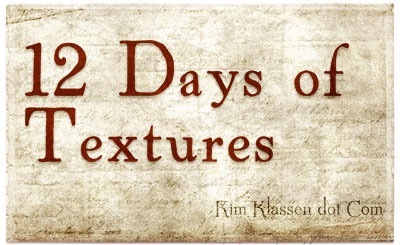 Another couple of days, actually 12 days of new textures, and a lot more learning and creating with Kim Klassen. Today’s texture KK’lilly’ is lightly dabbled with music notes…I used this image also in a post here, and wanted to create something new with it…I loved the black and white image, and the subtle glow point hinting of the vibrant orange persimmons. The harshness of the freezing snow creates for me a ‘wonder in awe’ emotion…natures way of preserving goodness. The berries and the snow – so beautiful! 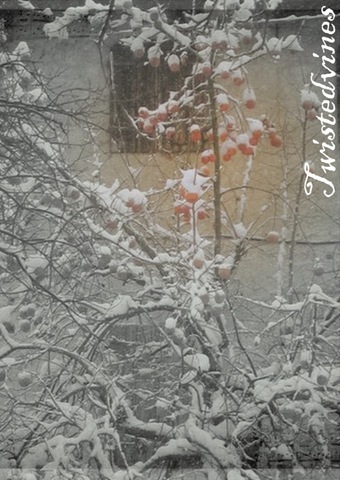 Hi Yvette, what a beautiful winter image, thanks so much for sharing. Have a wonderful Christmas from New Zealand.